As the weather starts to become colder, the pests in your neighborhood begin looking for a warm new home. These pests look for any opening that can give them access to your home. The opening size may range from tiny to large depending on the location. To combat your potential new house guests, you need to know some of the common entryways. As a house begins to settle, small cracks start to appear in the foundation and walls. These cracks are not uncommon. But if you do not repair and maintain them, they become the door for the pests to enter your home. During late summer or early fall, you should inspect your home for any new cracks. If you find new cracks, you need to seal them properly. The sealant you will use depends on the location of the crack. For cracks in concrete or masonry, you need to use a concrete repair or a caulk specific to concrete and masonry. For cracks in the walls, you need to use a silicone caulk. As your windows and doors age, the seals start to fail. When you are preparing your home for winter, you need to check the seals in the windows and doors. If they are not sealing properly, it could create a small gap which can then allow the pests to come into your home. You will also need to check the caulking around the windows and doors. If either the seal or caulk is failing, you need to replace or re-caulk the window or door. Leaving any gaps or cracks gives your neighborhood pests an opportunity to enter your house. Remember, caulk needs time to cure and harden, so make sure you read the directions for optimum temperatures and curing time. Many times, people forget about the wall passages like cable and phone lines, pipes and dryer vents. These items pass from outside to the inside of your home. If the seal around these items develops a hole or starts pulling away, insects can begin making their way into your home. To correct the entryways for the wall passages, seal both the interior and exterior of the passage. The double seal will help keep the pests outside your home, because if the outside seal fails, the inside seal can stop them. 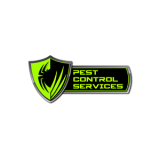 For more information on the entryways for pests or to schedule your appointment for a free quote, contact Pest Control Services.